Do you feel like your employees could be doing more? The program becomes a platform for you to discuss with your employees the values that all of them should share with you. You want them to be ambassadors for you. You want to feel comfortable when they are with customers and confident that they will do the right thing. When you ask them to do something, you want to trust that they will do it well and will always follow-up to make sure nothing is missed. Teach your employees the importance of keeping their word and following up on everything you ask them to do. Teach them how to be better team players. Show them how to find more customers for you and help sell those customers on your business. Reveal the tips and techniques on how to deliver true customer service. Help them make personal plans for growing into the kind of responsible and accountable employee they should be. Help them to think like you do and take an active role in caring about your business. Each employee follows a study guide, fills in worksheets, and answers questions that guide them to becoming the best version of themselves. By reviewing the program with each employee, chapter by chapter, you show a personal interest in their development. The manager guide provides a full set of instructions on how to measure the success of the program at your company. THIS IS NOT A PURCHASE. IT'S AN INVESTMENT INTO THE PEOPLE WHO WORK FOR YOU AND YOUR BUSINESS. Why should you get this book ? Paying your employees isn't enough to get what you want. Telling your employees what to do does not work. "But I pay them to do that". Of course you pay them but that's not good enough. What happens if you didn't pay them? They quit. You have to pay them or they won't work for you. Pay alone is not enough to get your employees to perform. How do you get them to perform? You ask the right questions. You quit telling them what to do and you start telling them what really matters and watch how everything changes for you, for the employees and for the customers. What defines a great employee? Does an employee need to be fired? How do you know? Do you have a system in place to easily define the good the bad and the great employees? Does an employee deserve a raise? How do you know? Do you have a system in place that tells you if they actually deserve it? HAVE YOU EVER THOUGHT "THERE MUST BE AN EASIER WAY?" This program will allow your employees to be them while at the same time serving you and your customers. It doesn't get much easier than that and employees are starving for the freedom and clarity this program brings. This is what they want. They want to be them and they want to serve you and your clients but they don't want to be you and we can fix that. 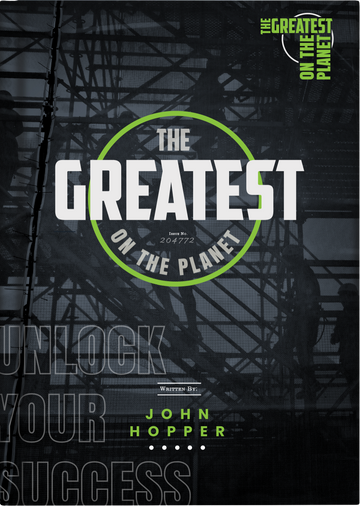 What does it take to be The Greatest Employee on the Planet? With the 9 million things going through your head every single day do your employees even know what you're wanting from them? Can they see the big picture? Can they just simply "do the job" and get to where you need them to be? 1. YOU NEED TO UNDERSTAND THE VALUE OF THE EMPLOYEE AND THE EMPLOYEE NEEDS TO UNDERSTAND THEIR VALUE TO YOU. This doesn't happen in most businesses so most businesses are missing the first of the Six things. Your employees are not a liability to your company, they are an asset. Without employees, yourself included your business is nothing more than a piece of paper filed away at the state. Without employees who will service your customers? Who will make sales? Who will follow things up? Who will collect money? Who will answer the phone? You can have all the customers in the world but if you can't service them it doesn't matter. You can have all kinds of money and if you don't have people to help expand you'll eventually run out of money. You can have no customers but if you have great employees you can go get more customers. You can have no money but if you have great employees you can go get more money. If you have no employees you're in trouble and for those reasons the employees, even if they are subcontract employees are the most important thing to any business. 2. SALES. Sales makes the list at number two because if you don't have sales you can't pay employees, you can't pay insurance premiums, taxes, marketing, the phone bill or any of the bills you recieve on a regular basis if you don't have any income. When is the last time an employee approached you with a new lead? Does it happen daily? Does it happen ever? What if we could show the employees how important it is to have sales and we could actually teach every employee to generate sales for the company? Wouldn't that be amazing? When is the last time you asked your employees "what can we do to save money around here or be more efficient and they actually gave you a list to work from? Last week? Never? All of these things will be done with this program. 3. FOLLOW UP. Follow up makes the list at number Three because it lacks so badly. Lack of follow up is the start of everything bad in the company and it can be fixed. Phone calls don't get returned, customers go unserviced, What was agreed up doesn't happen. This is the start of customer complaints and it can be fixed. Things in our personal lives and the lives of our employees get followed up on a regular basis yet at work they don't. At home the garbage cans get taken out to the street and brought back in, the kids get dropped off at school and picked back up, we get into bed and we get out, we get in the shower and get out of the shower yet at work we can't seem to follow on the simpilst of things such as following up with a customer. 4. GOOD CHARACTER. As human beings we desire to be around good people, it's natural and that doesn't stop when we get to work. We want to be around honest, trustworthy, truthful, ethical people. Not that's just you as an owner or manager but your employees want that as well. What we don't want is to be around liars, thieves, cheaters, drug users and people of bad charachter. You don't want it no one in your company wants is. What we need to do is explain the importance of this to the employee and up their game in this department. If they aren't someone who fits into good charachter it's going to get a lot easier to identify with this program. 6. DO MORE. We're not going to ask the employees to do more jobs. That's not their responsibility. It is however their responsibility to push their ability and skill to a new level. The employees need to focus on this and you need to monitor it. Are they always pushing to do more? To be better? This program will help them do this.